Doctors’ offices are often staid places, rarely revered for their interior style, but in New York, a pioneering healthcare provider, Parsley Health, has opened a new flagship centre that has promptly changed all perceptions. Located on the second floor of a neoclassical building in Manhattan’s Flatiron district, Parsley Health’s new home is more reminiscent of a members-only co-working space than a medical facility. 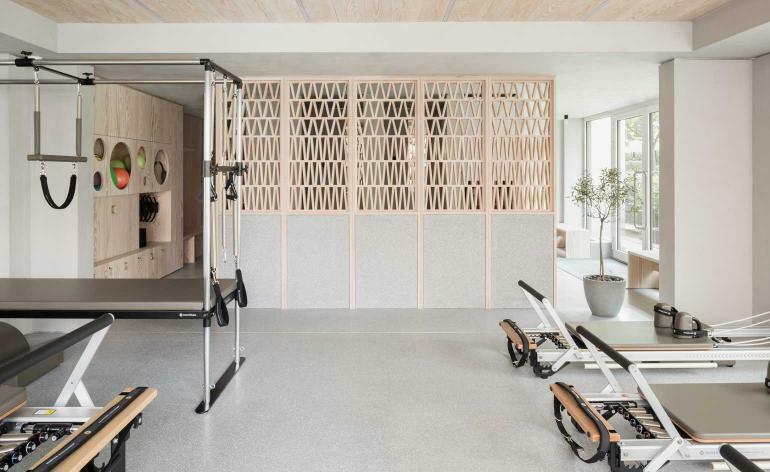 Conceived together with Alda Ly Architecture, the airy, loft-like space has been specifically designed to bridge the gap between wellness and medicine, while integrating technology in a seamless, unobtrusive way. Incorporating biophilic elements into the interior design was a key aspect of Ly’s approach. From creating strong visual connections to nature, be it through the generous placements of plants and greenery or the large windows that showcase views of the surrounding buildings, to tinkering with the space’s thermal airflow and choreographing the use of dynamic and diffuse lighting to mimic circadian rhythms, multiple aspects of the health centre have been conceived to reduce visitors’ stress and cortisol levels, improve their concentration and attentiveness while also elevating their mood and well-being. Upon arrival, Parsley Health’s members are first met by a stylish reception desk crafted from Caesarstone quartz and white oak before being guided towards an inviting lounge, outfitted with a fashionable mix of furniture, courtesy of interior designer Hilary Koyfman of Hilko Design. Milled, built-in shelving provides a display space for Parsley’s in-house line of supplements on one end, while a open-concept kitchen/café space supplies members with beverages and snacks while they wait. In the consultation rooms, which are located furthest away from a central walkway to preserve privacy, custom-designed examination tables are complemented by slender, mobile tables, cosy banquettes and potted plants to create a feeling of intimacy. Colourful woodblock prints from Block Shop textiles hanging on the walls provide a refreshing change from the usual doctors’ diplomas, without detracting from the seriousness of the tasks at hand. Even the phlebotomy lab, which is located just outside of the reception, boasts customised seating stations to maintain the overall sense of calm.